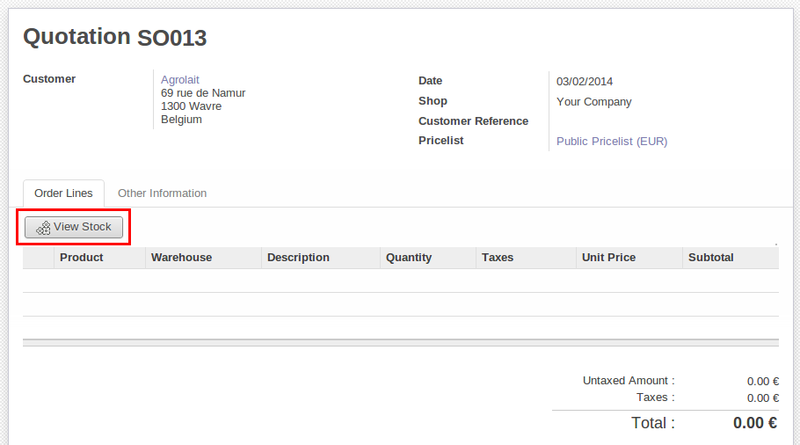 One more enhancement in our module “Product quantities in different warehouses” by adding more features. So lets start again for new features. 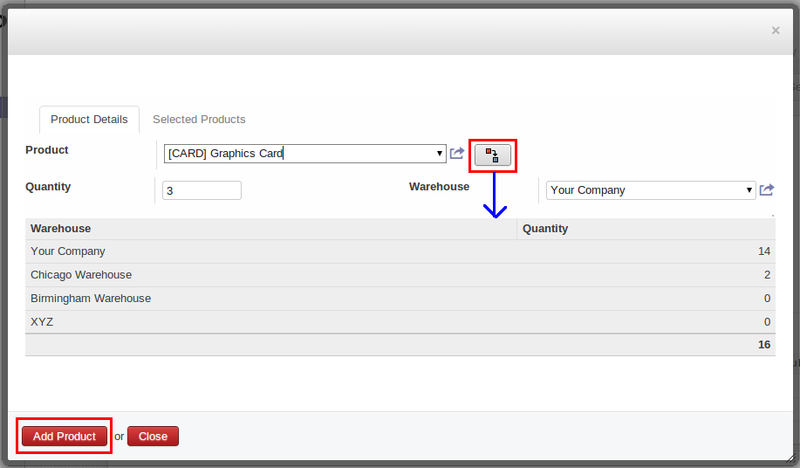 Once we click on “View Stock” button, it will open popup window where we can add multiple products by checking their quantities at different warehouses. 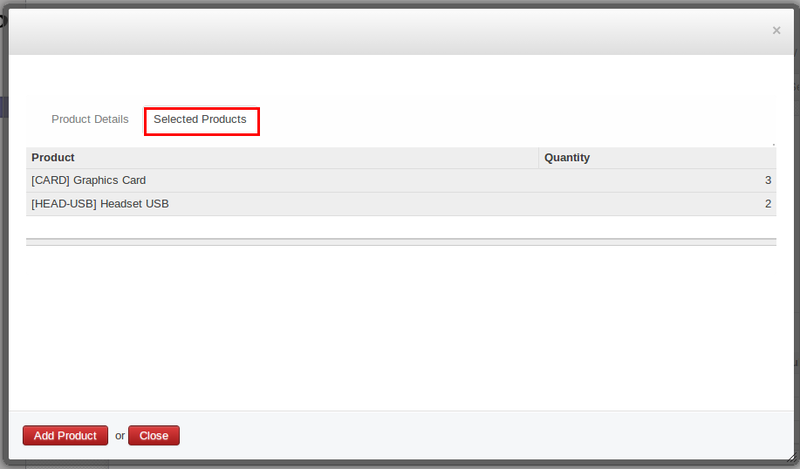 There is a great improvement that when user will click on “Add Product” button, popup window will not close so user will add multiple products and “Selected Products” Tab will display that how many products still now added into order line. During Internal Movement of stock it is very important to know which warehouse has how much stock for moving it from one warehouse to another. 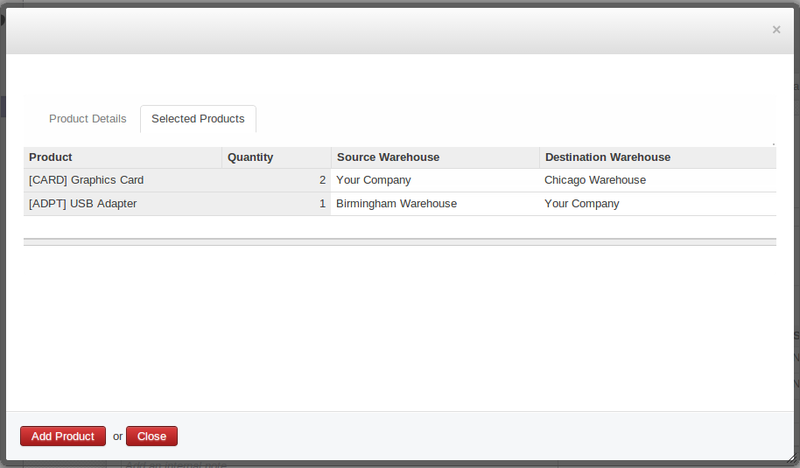 To make this work easy, we have added feature into “Internal Move” of OpenERP. 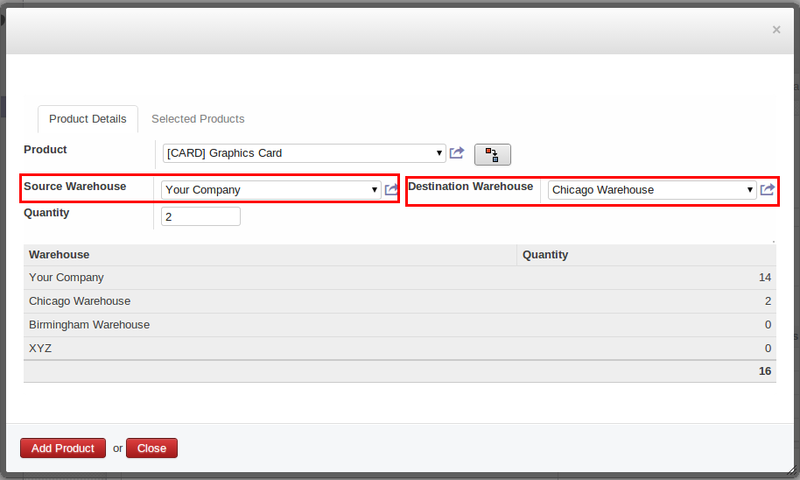 We can select Source Warehouse and Destination Warehouse for each product separately during internal move. 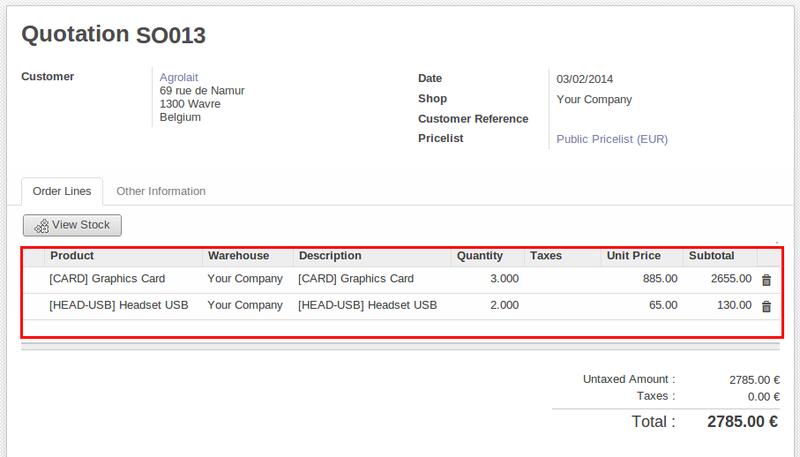 And user can also know that how many products (with warehouse) selected till now for internal move process. 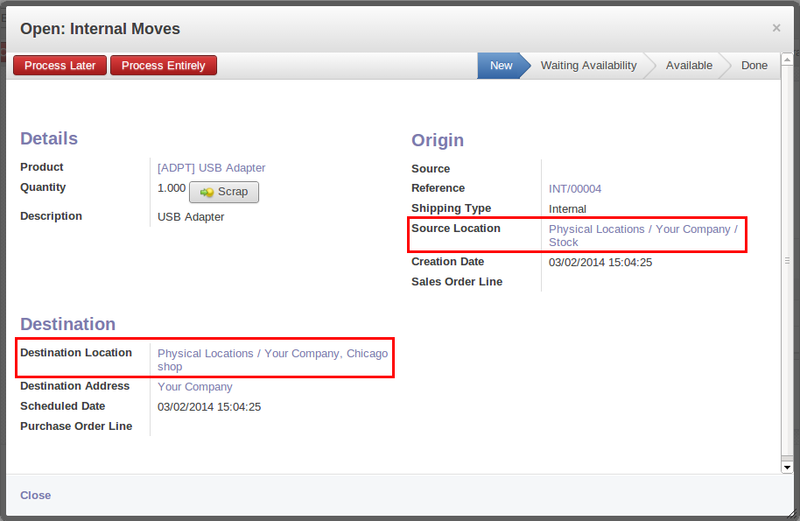 We can see that each move line has source and destination location according warehouse select into popup window.